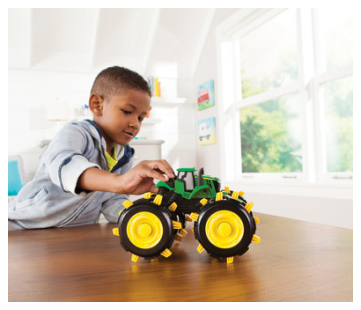 This John Deere 6 inch duo is perfect for the sandbox because of its durable plastic construction and child-friendly designs. It is perfectly-designed for hours of outdoor fun at the beach or in your own sandbox. Features include free-rolling wheels and workable parts: the bed dumps and the front loader moves up and down.